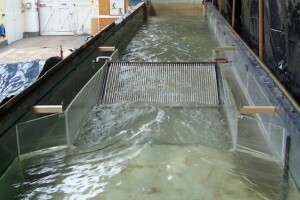 At the Faculty of Engineering and the Environment, an indoor tilting recirculatory flume (12 m long, 0.3 m wide, maximum flow rate 0.03 m3s-1) is ideal for fine-scale hydraulic modelling using state-of-the-art acoustic and laser Doppler and Particle Imaging Velocimetry (PIV) techniques. At the Chilworth Science Park, the 22 m long indoor recirculatory flume (1.4 m wide and 0.6 m deep) is equipped with three electrically driven centrifugal pumps providing a maximum flow capacity of 0.47 m3s-1. Individual pump capacities are 90, 150 and 230 L s-1. 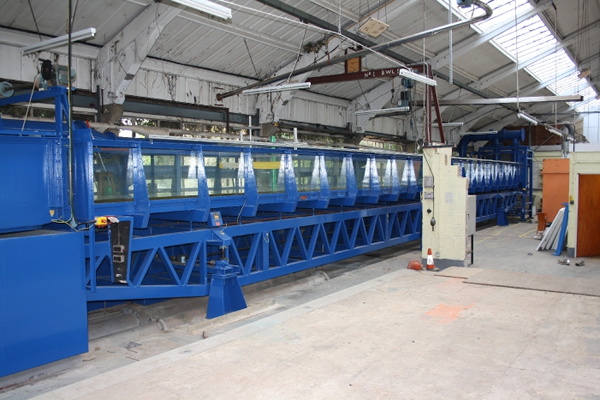 Two annular flow meters monitor discharge. The flume can be tilted, with the slope adjustable between zero and 1:200.